BTW, what's up with the different "O" key on hyperfuse? 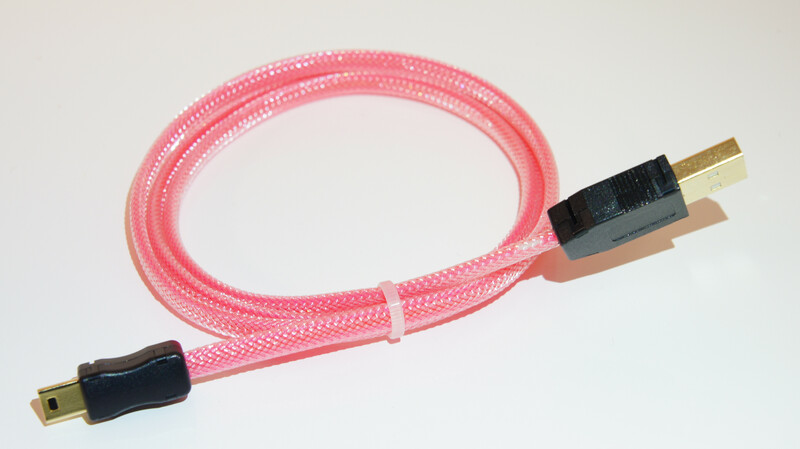 So, LED Cable V3 ended up not having the LED working as I wanted it to for Mini USB... I guess it'll be restricted to Micro USB only. It's a shame too, since it has the most uniform lighting. Haha! Thanks for noticing. 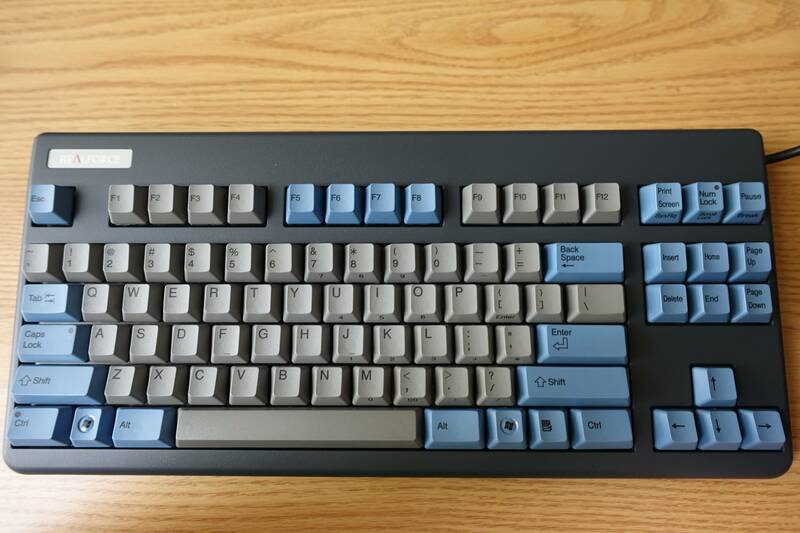 The different O is actually a single 0 from my numpad set that has "00" and "0" Since I'm using a TKL I opted to use the 0 instead of the O for a splash of color. I fkin' LOVE these hyper colors. The random O really makes it for me. I really wish I could find where Ducky / Vortex sources their Velcros with the microscopic hooks. Didn't see that coming. I'm more of an android man myself (that is when I even bother having a phone). Had a customer special request some iPhone 5s chargers today, so I worked my magic! Bleh, need to take a better pic. Well it looks nice even for a stupid proprietary iPhone cable. Just a quick FYI. You might already know this but others might not. Wouldn't be able to sleeve it without showing heatshrink. Awesome. Should we hear about new prices soon? 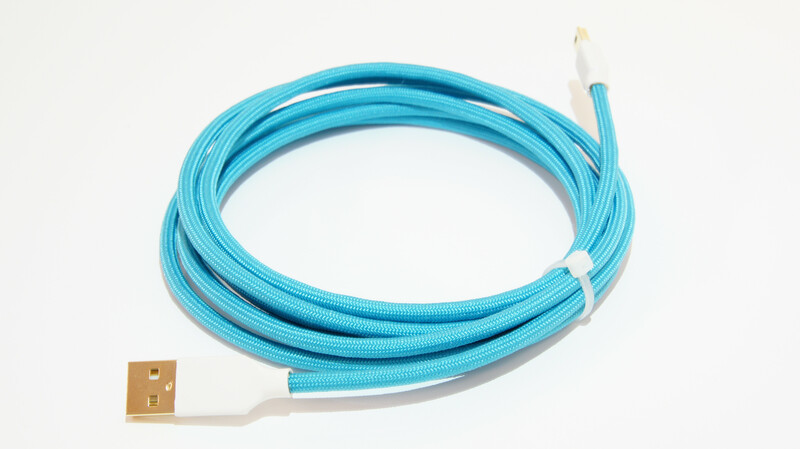 Sounds like it could be a good time to buy some cables. For most orders, shipping price will be very close to the current "Expedited Parcel - USA"
Oh man. 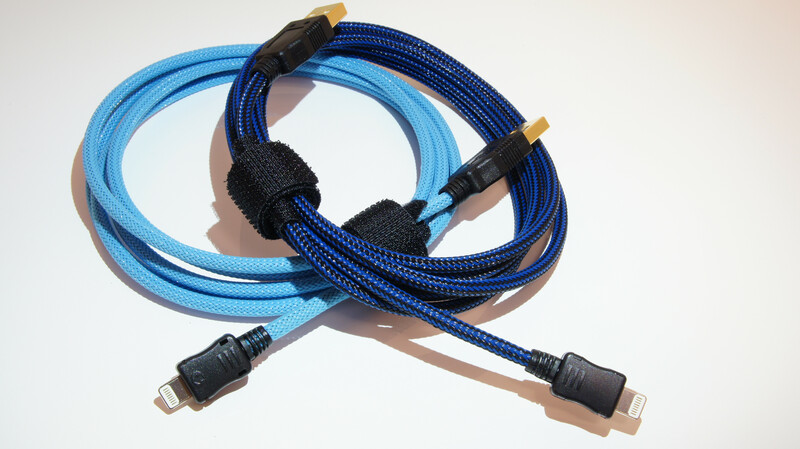 These are literally the best cables of all time. 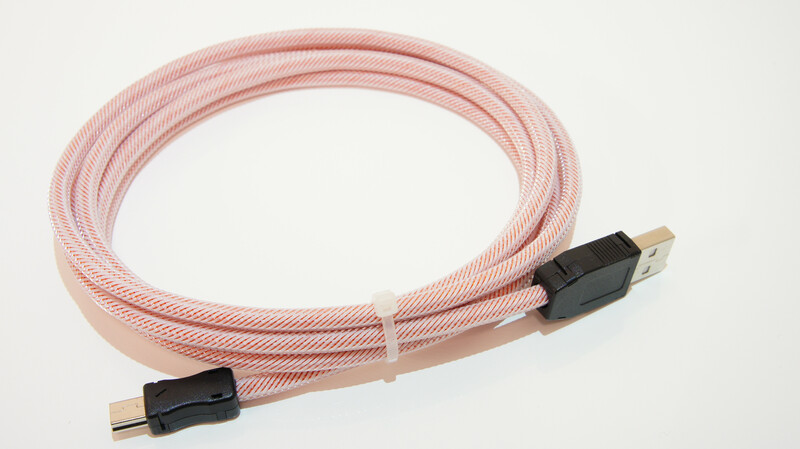 All other cable makers should fall back. Zeal, keep big ballin', son. i was promised elite gamer status, they did not deliver. 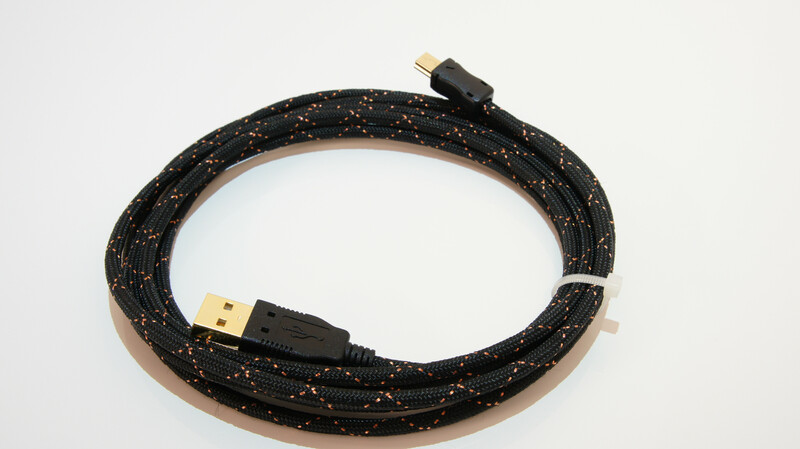 Not all the cables in the elite world can help you if your gaming is balls. But the high quality cables and the glowing lights have definitely made me faster than literally everyone else. All my loot from Zeal arrived today! will the LEDs in the cables make me a better gamer? 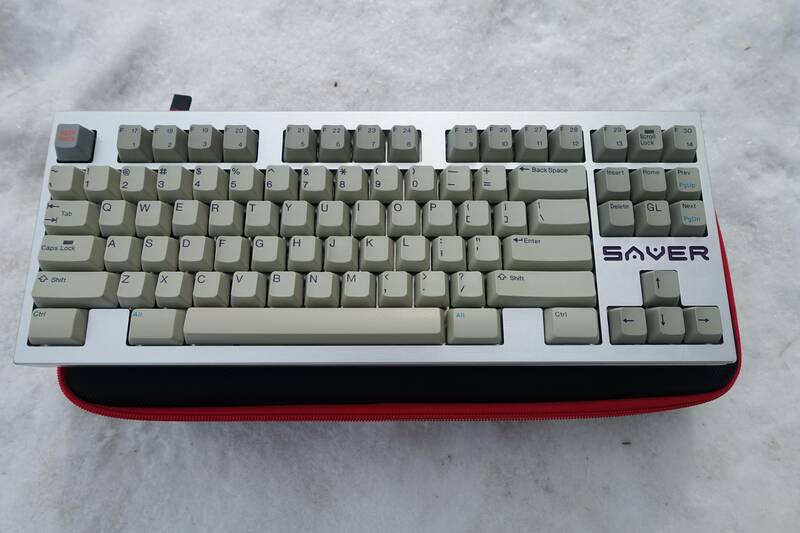 Makes you type faster and a better gamer. This should be common knowledge! He said you'd be better. That means you're not the worst any more. edit: to show you I'm right. Going to have a 10% off sale for the coming 4 days to celebrate Easter weekend! All orders placed between April 18, 0:00 AM PST - April 21, 23:59:59 PM PST will receive a 10% discount! I just wanted to say thanks and leave you some positive feedback in this thread loved my order and your turn around was very fast. 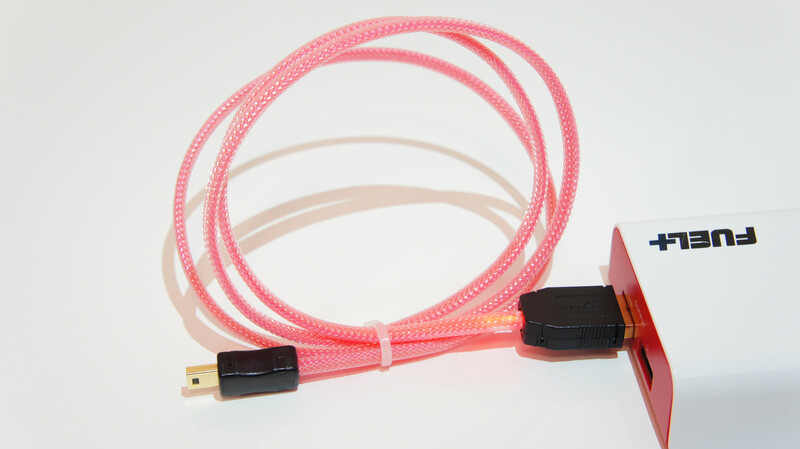 Loving the cables, the heat shrink is so beautiful, wish I would have gotten both with it, haha. Thanks! Great to hear that! Enjoy! Two cables made today that'll be dropped off tomorrow! it's great to see my order up here, i can stare at it while it's getting shipped! What is wrong with the poll? Nothing. I just edited it out because the poll is no longer relevant. Wasn't sure if I'd be able to add the poll again, as it was initially added in classifieds forum. I received some new fusion coloured sleeves yesterday, but didn't get a chance to post them until now. I'll be reformatting the OP in the coming days so it'll be easier to navigate through the different plastic & paracord sleeves! ~20" uncoiled both ends, 9" coil. The feel is of the keys! 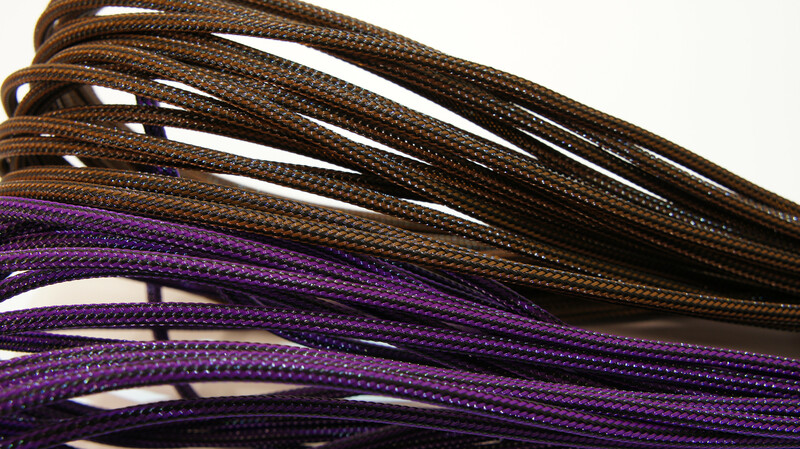 What size paracord do you use? 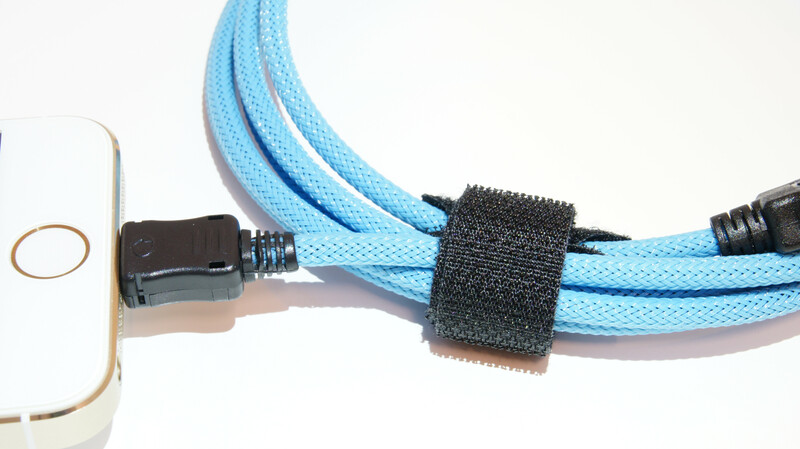 I use coreless paracord, so the paracord sleeve isn't prestretched and loose/fuzzy. 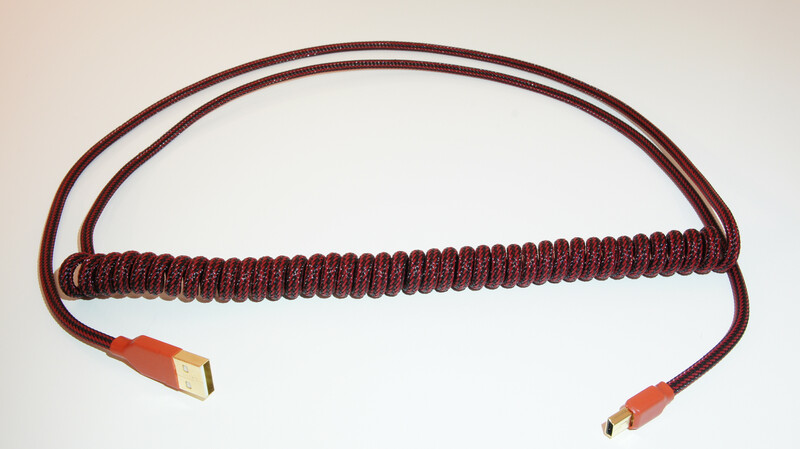 For comparison, it's similar to 550 paracord. 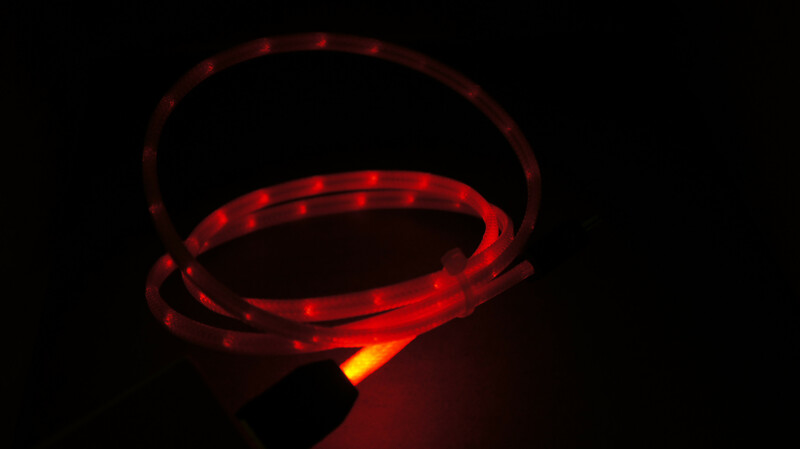 3ft Clear on Red LED Mini USB w/ gold plated ends. 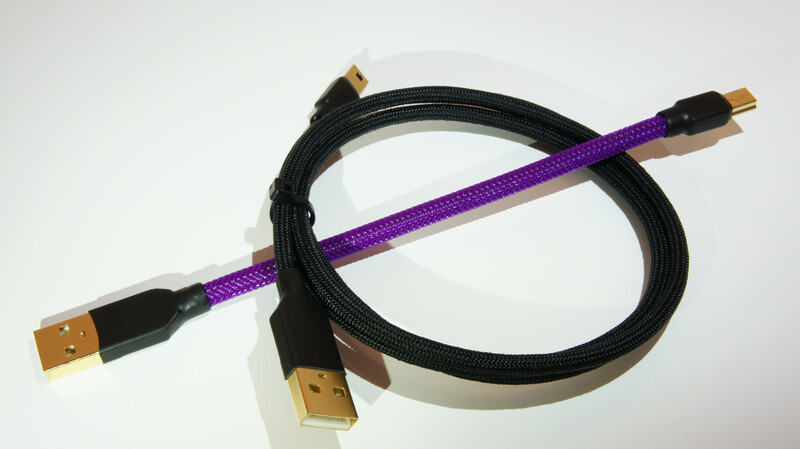 Decided to try something new with the USB A end...very happy with the results All LED USB cables will now come with the plastic cover style, by default. Forgot to tell you, I got my cable, and I LOVE it. I posted feedback on your heatware, and would appreciate an evaluation back! Thanks again, and keep up the good work! Already submitted an evaluation! You also happen to be the first to submit heatware feedback heh. Good news for all USA orders! Just got an update from DHL! I should have my account all set up and ready to go by tomorrow! Very excited! Alright, got my account all set up! Proper DHL pricing should take into effect on Monday. I've been fighting hard to keep the price low with DHL Express shipments, and I think you'll be satisfied with the final price! Shipping price to USA starts at $15 (Delivery by end of day), $17 (Guaranteed delivery before 12:00pm), and $19 (Guaranteed Delivery before 10:30am)! 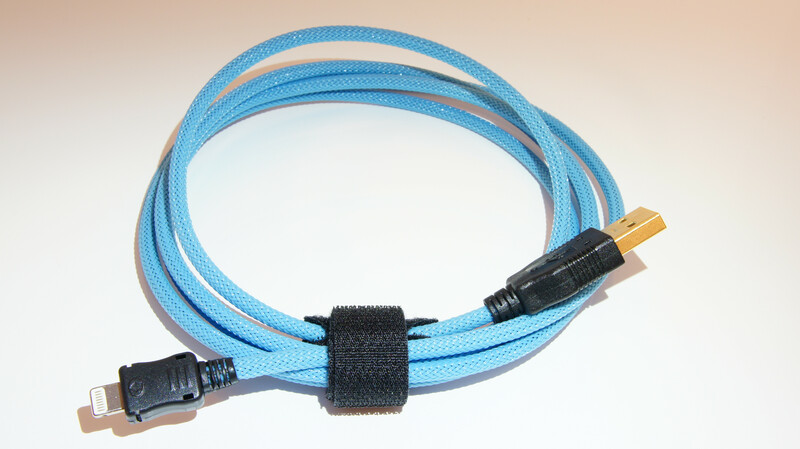 Customers who have purchased 5 or more cable from me will receive lifetime 5% off their next order(s)! 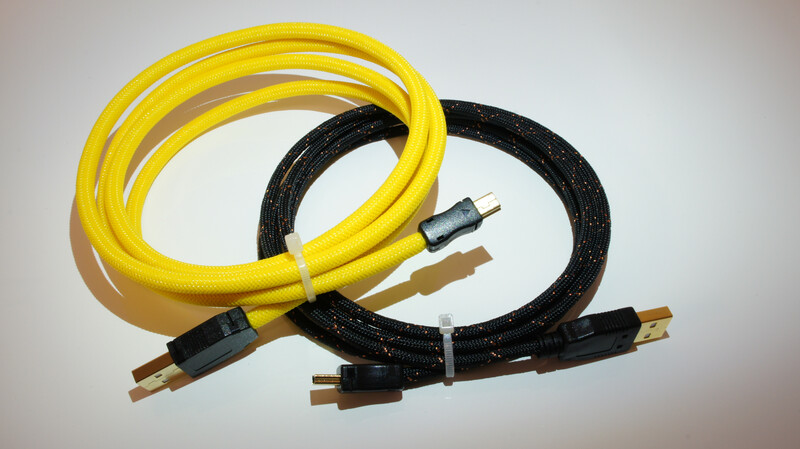 Customers who have purchased 10 or more cable from me will receive lifetime 10% off their next order(s)! Stay tuned for all future updates/promos! Page created in 0.107 seconds with 77 queries.